I will repeat points I made in my 2014 posts about Project Unbolt. Staff behavior and performance problems are among an editor’s greatest challenges and opportunities. The staff member who is performing poorly or behaving inappropriately can bring a newsroom down and in most cases an editor needs to deal decisively with it. The performance and/or behavior can spread. The tolerance of the performance and/or behavior sets a standard for other staff members. And your newsroom is too thinly staffed for your good performers to be stretched a bit more to cover for the slacker. That’s the challenge. The opportunity is that a successful discussion with the top editor at a critical moment can help turn a career around and turn a problem into a productive staff member. Time is one of an editor’s and a newsroom’s most precious resources. 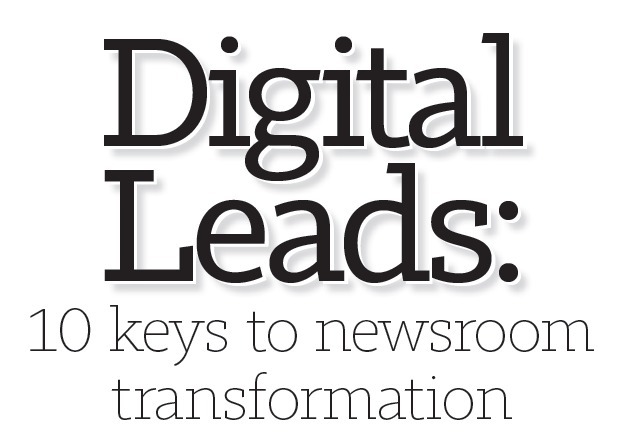 Spend your time wisely to move your newsroom forward and elevate your digital journalism. The challenges of digital journalism give you – and your staff – lots more things to do without giving you any more time. To succeed, you need to manage your time – and your staff’s time – efficiently or you will certainly be overwhelmed. Decide what to stop doing. Decide what to do less of. Decide where you can accept a lower standard. Find opportunities to use technology to work more efficiently.